Venustas Diabolicus has marked its eighth month of existence with success, with a view to manifest and hold its motto to promote the black metal supremacy through our voyage. It’s time for us to make some changes in the website we are publishing our writings on. From now on, we will allow posting advertisements in our site. Bands, labels, prod house, zines, promotional agencies, gig organizers, radio stations, jamming pads and others can put their advertisements for promotional purposes. For detailed information regarding advertisements, cost and other issues, interested people are requested to contact us through our e-mail/facebook page. N.B. : Genre restrictions are not applicable for the advertisement. We will even accept non-metal music ads if they are relevant enough. 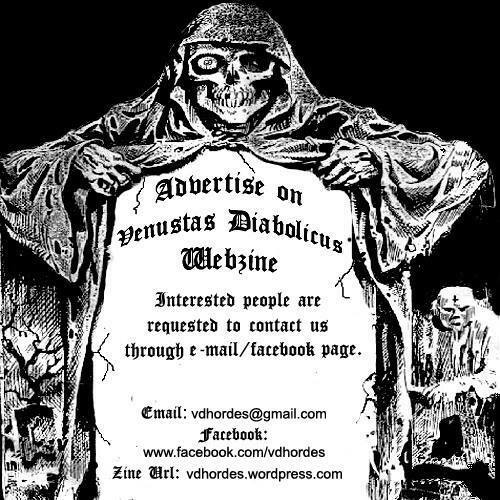 When I see Advertise on Venustas Diabolicus Webzine | Venustas Diabolicus, Wonder this was about house music rÃ¡dio! I’m sure?